A new generation of Onahole USB Heaters has arrived. 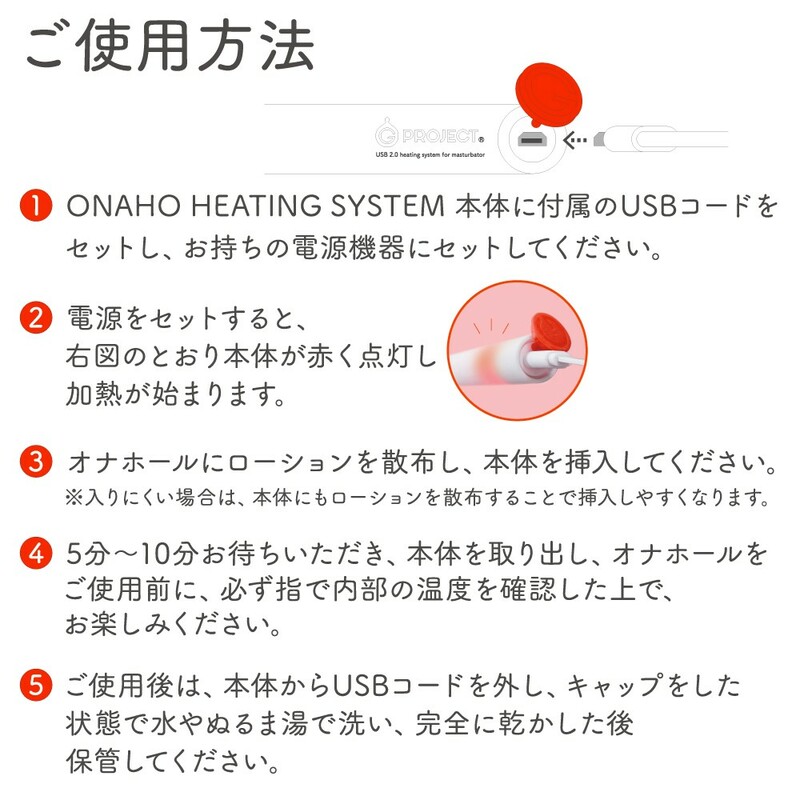 The Onaho Heating System USB 2.0 is heating up your Onahole or Masturbator better than anything ever available before. 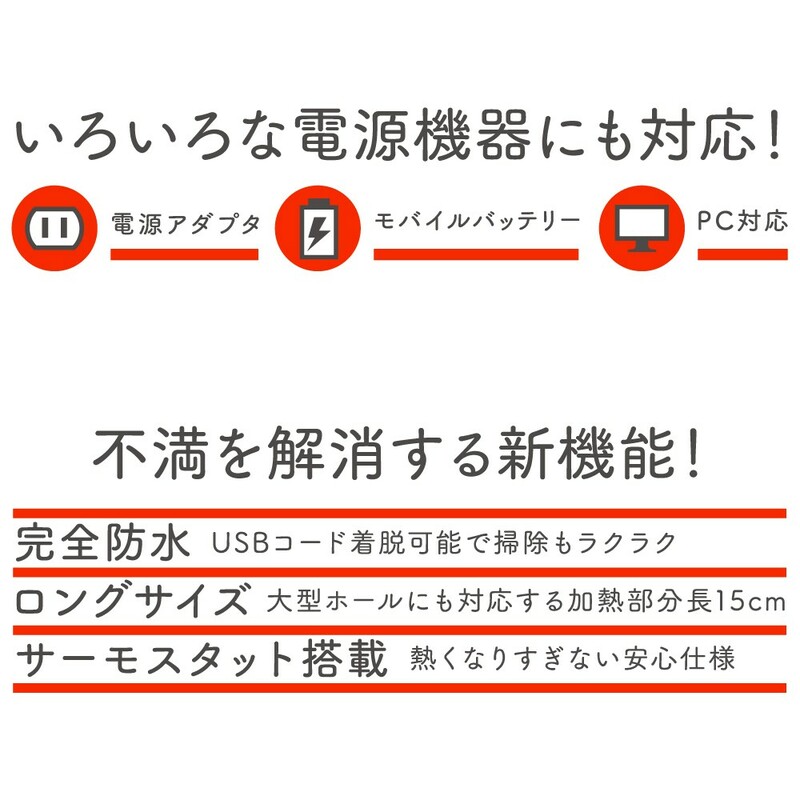 The USB Cable is detachable and the Onaho Heating System 2.0 is completely water proof and has even a mobile battery. The long size with over 18cm makes it easy to evenly heat up even large Onaholes, Hips and Dolls. Honestly, I like the idea of beeing able to warm up your onahole. But maybe I´m stupid or the heater is broken, but it takes 20-30min to really warm the onahole up. I rarely use it because it takes to long and I fear that I´ll forget it one day, burn up my onahole and the house with it. - price is a bit higher. The product works great in warming all of my onaholes! So far it has lasted far longer and is more reliable then the Rends usb warmer. The detachable cable is great allowing for replacement if necessary and a possibility of a longer cable. The cap however is untrustworthy, never seeming to create a good seal. As others have wrote, I don't recommend submerging in water. It does give me some confidence when just rinsing the outside of the warmer as the cap seems to protect it from random splashes of water. The product description is slightly misleading. It states it has a mobile battery, but I am unsure of its use. As far as I can tell, it does not heat up unless the warmer is plugged in. Overall, if you like warm onaholes, this is a good buy, it is dependable and the product lasts. This warmer was supposed to replace my previous one which still works but doesn't have a detachable cable, is shorter and warms up slightly slower. I like the detachable micro USB cable although by now Type C would be more appropriate. The increased length unfortunately doesn't play in my favor since my onaholes are on the small side and the warmer starts heating up from the "bottom" (where the cable is connected). Therefore, it's not much faster than my previous one even though I can feel it heating up quickly at the bottom. There's a rubber plug to cover the connector but it barely stays in place and while it may seem water-proof at first, I would definitely not recommend submerging it in water. Perhaps the biggest selling point of this warmer is the fact that it has a detachable usb cable, it seems that’s the biggest weak point of warmers. As long as you take proper care of it, it should last a long time. The texture is also quite nice, it also comes with a usb cable, in case you don’t have usb to micro usb 2.0. A warning to first time users. You must be careful not to leave it inside too long, it happened once to me. I left it too long and it onahole got a damaged due to that. I would say no more than 30-40 mins with some occasional checking. That aside, you must find that sweet spot, so as to not damage your onahole, but still get a nice and comfortable warm feeling inside. All in all though, I would highly recommend this warmer over the cheaper ones, it’s defintely worth that little extra money for what you get. I've used 3 other warmers and this is the best one. You really seem to get what you pay for. The outer shell is made of a non-brittle plastic with a nice soft finish to it. It's long enough that it never has a problem reaching all the way inside. On one end there's the red cap that's supposed to protect the USB port. I wouldn't trust it enough to submerge that end but it works great when just rinsing. If the cap is open there's a risk of it detaching but it's easy to put back. Now, unlike most heaters this one has a detachable cable. The cable is often a weak point. It's often too short and stress/bending on the cable can cause the thing to die. This warmer doesn't have that issue. The included cable isn't too shabby and USB A to micro B cables are sold everywhere if you want a new or longer one. When it comes to heating it works fairly quickly. I've found that it can handle a 2 Amp current well (like from a modern phone charger) and it can halve the time it takes to heat stuff to a snugly temperature compared to the standard 0.5 Amps of some USB ports. I tend to leave it in for 5 to 15 minutes depending on the size of the toy and how hot I want it. I have left it longer, up to 30 minutes, and haven't noticed anything burning or melting. A bit confused, but overall I'm very happy with it! I've owned a "Rends USB Onahole Warmer" for the longest time which recently stopped working and I decided to get a replacement. I saw this one and it seemed to be a step up from the Rends and while it definitely is of better quality, I am a bit confused as to it's features. + The sturdy detachable cable feels like it would run into less issues than cheaper warmers where the cable is fused directly into the heating unit. In general a sturdier construction and higher quality product. + Does the job just fine. If I am not mistaken it heats up a lot quicker than my old Rends, too. - Does not work with the cable detached as expected. The product description that makes mention of "mobile battery" makes it sound as if you could charge it with the cable and then it would keep warming the hole even with the cable removed - this is not the case as it cools down quickly at that point. Maybe I'm just missing something (as I don't read Japanese i don't understand the instructions on the box). But overall I am happy with the purchase as it seems like an upgrade over the cheaper warmers.